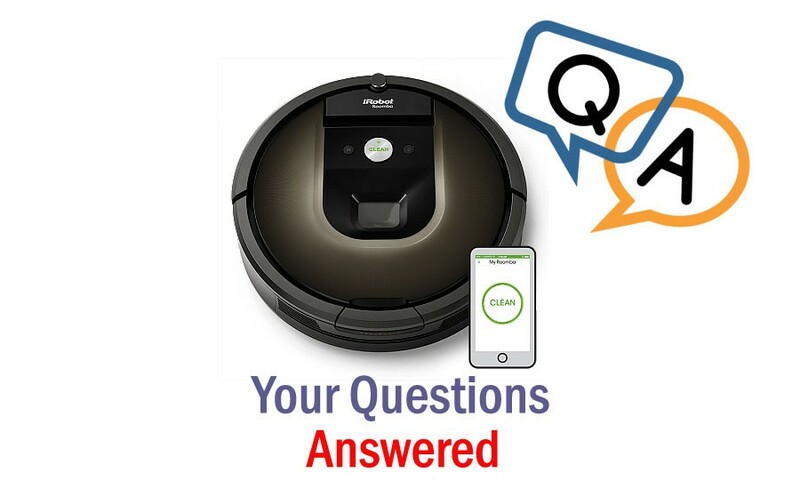 IRobot is one of the popular floor-cleaner device available in the market. But people often come with questions like whether it can handle all types of floor. To be specific, does Roomba work on thick carpet? And if it does, then how well? Well, not all robot vacuums are suitable for all type of floors. For example, if you have a Roomba that is specially designed for hardwood floors, it won’t work on carpet. Speaking of the design, whereas Roomba has robotic vacuum cleaners specially designed for bare floors; it has robotic vacuum cleaners specially designed for carpets in its line-up too. You all know the basic, to perform great on carpets – the suction must have to be great. 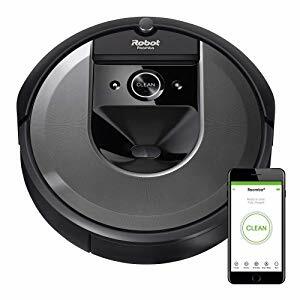 The manufacturer company iRobot has boosted up the suction power of their recent robot vacuum cleaners like the Roomba i7 and i7+. In the robotic vacuum cleaner industry, Roomba is well-known for its massive suction power comparing the other robot vacuum cleaner brands. Now think, twice the suction power in these two models than what you’d get before. These are relentless whenever you have some real thick carpets. You should check these two. Again, which Roomba model you have and how thick your carpet is are two significant factors. In this article, we’ll discuss the usefulness of a Roomba cleaner on thick carpet. As I’ve already mentioned, it depends on both. For carpet, you must choose one that comes with a powerful motor having great suction. Following are the features that a Roomba need to have for cleaning a thick carpet. The motor must be powerful enough to collect almost all the dirt hiding under the threads of your carpet. The vacuum must come with a high clearance which most of the robot cleaners doesn’t have. That’s why they aren’t suitable for carpet. It should contain large wheels so that it doesn’t get stuck on the edges so easily. A carpet hides the larger amount of dust, pet hair than floors without carpet. Therefore, the dustbin must have a higher capacity so that it can collect and store all of it. It’s more significant especially when you have to clean a lot of rooms having carpet on the floor. But a dilemma lies here. Since it is a battery powered electronics, the weight is an issue. A heavy unit means consumption of excessive power, that means less runtime. To solve this issue, We have been introduced with a very recent innovation by Roomba, which allows self dirt disposal. 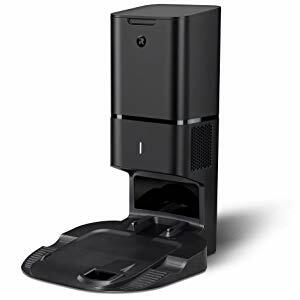 Whenever the dirt bin is completely full, a compatible Roomba robotic vacuum cleaner will go to a way bigger dirtbag containing dock all by itself and dispose of the pieces of dirt. It is called Authentic Parts Clean Base or Automatic Dirt Disposal. The Roomba i7+ is equipped with this item. You might want to check that out. This Authentic Parts Clean Base is sold separately too. Check that below. The giant dirtbag inside it is capable of swallowing the dirt of 30 dirt bins. You can forget to clean the dirtbag for a serious amount of time here. N:B: This automatic dirt disposal unit is compatible with the Roomba I series robotic vacuum cleaners only. Carpet piles, especially ones from thick carpets, are likely to push robot cleaner out of the carpet piles. So, a heavy vacuum will help the suction duct to stay deeper in piles of the carpet. But as you know, you can’t get a real heavy robot cleaner because they have to run on batteries. Still, if you’ve to deal with thick carpet quite often, try to get a heavy Roomba for your home. So, the verdict here? If you do not mind less runtime out of your Roomba Robot – you can go ahead, figure out the heaviest Roomba robot ever produced and buy that. Psst: if you have to do all the arduous research then where is the place of mine? I went ahead and figured the heaviest Roomba robot for you. The Roomba 980 is the heaviest among them all. If you are planning to buy then here’s a reliable link left for you. “You might want to buy this as quickly as possible because a limited 8% discount is currently going on. Grab yours as quickly as possible before the stock gets cleared. The best advice would be to keep an eye on the Roomba for the first few sessions. Make any correction that is necessary. It may have to empty the canister in every 15-20 minutes for the first few times. A powerful Roomba collected dirt from the deep of the carpet which less powerful Roomba fails to do. But it’ll stop after when the Roomba clean an area 2-3 times. Now, for those who would really mind a lesser runtime out of their Roomba robot – do not get disheartened yet. Only weight cannot outrun the stubborn carpets? Strong suction power is a must. And if you can manage a robust suction power, excessive weight can be checked out of the list. I have already introduced you with the two robotic vacuums of the latest Roomba I series. In case you missed that, I am leaving them here for you again. How do you know how well the Roomba is performing? You have to observe the indicator light at the top of the device. It’s like a magnifying glass. When it’s solid blue, it means that the device is in intensive mode. That time it’ll start moving either in a spiral or in a fan shape. And if you observe starfish blue light, it indicates that the speed of the brush is less than the expected. And if the brush isn’t seemed to be running at all, then you need to stop. Check whether anything is jumbled with the brush or not. Some Roomba models come with an additional feature called Virtual Wall Lighthouse. Its specialty is that you can follow a distinct cleaning pattern with your Roomba. You can divide the area is to be cleaned in small sections that are dangerous for the robot cleaner. For instance, you can close off the area with the lighthouse where there is shag carpeting. So the device won’t be able to enter into the area and protect itself from damage during cleaning. Now coming to the carpet, the thickness also matters. But serious types of trouble occur when there’s shag carpeting because it can lead to burn out of the motor. Various models behave variously when an error is found. Some give you only a few beeps and you have to guess the error by the number of beeps. Some can announce the error in a robotic voice. Other display errors as codes along with beeps. However, the codes more or less are identical in various models. But you must know how to interpret the beeps or codes. Number of Beeps What’s The Cleaning Error? 1 Beep Hung on a side wheel or Roomba got stuck. 2 Beeps Probably some hair is troubling it to function. 5 Beeps One of the wheels has got obstructed. 6 Beeps Sensors get dirty or the Roomba gets stuck on the side of a cliff. 7 Beeps Similar to 5 beeps error, one of the side wheels is obstructed. 8 Beeps Only the front wheel is stuck. Or the entire vacuum is stuck as well. 9 Beeps Either the bumper sensor is dirty or the section between the bumper and Roomba is dirty. Number of Beeps What’s The Charging Error? 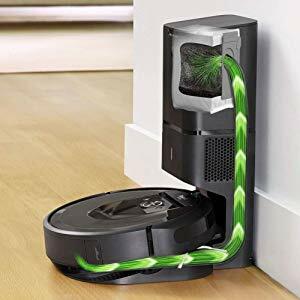 Purchase a virtual wall that can be used to block certain parts of the house or floor that you don’t want your Roomba to crawl. Change the filter of the vacuum after every 2-3 months of using. This will keep the optimal performance up. If you live in a small place, keep the battery off the unit while it’s not at work. This will maximize the battery life. If you live in a house where frequent dust cleaning is required, empty the dust cleaner every now and then. Do a COMPLETE clean of the unit after every 4-8 uses. Be sincere while doing a deep cleaning of the brushes. Take some expert’s help if you’re new at this. Now coming to the conclusion, does Roomba work on thick carpet? The answer would certainly be yes! But not all of its models. If you ask for my suggestion, I like to recommend you the Roomba models from 800 series. These have the virtual wall lighthouse feature to make your work easier.